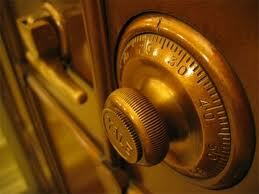 Offshore Private Bank Account – secure your assets! Having a private offshore bank account gives you more options, which leads to more freedom in a way that it becomes more complicated for any government to control you. What is an offshore private bank account ? Offshore private bank account – is a bank account opened outside the persons residential country which provides a full service offer for funds management, investments and international transfers. No paper-work for you: our specialists will do the introduction to the bank and prepare all the documentation to open the bank account. Only thing we would require from you is your signature. Fast account opening: once all the required documentation has been submitted to the bank, it takes 2-5 working days for account opening. Once the account is activated you will immediately receive a notification with your bank details. Qualified service: each client has their assigned a professional specialist responsible of your case, in such way to ensure a professional and qualified service with individual approach. ICD Fiduciaries will assist you in the account opening process from the beginning and even after the account will be opened. Your assigned manager will always be at your disposal to assist and help you. Even after years you can come back to us for any assistance and we will be happy to help you. Anonymity and security: we work only with reputable and secure banks to ensure that our clients are not under any risk. If there’s even a little possible risk due to local political or economical instability – we will inform each client personally and will propose an alternative solution to avoid any possible risks. Considering several aspects, ICD Fiduciaries will recommend a bank based on your needs, use of account and objectives. We have a wide range banking network with long term cooperation, that gives us the possibility to propose the most suitable banking services for offshore private bank account opening. Our main objective is to provide to our clients the most suitable and secure long term offshore banking services to protect their assets. Contact Us or request a Call Back for the price of private bank account opening! – For what activities can be used an offshore company. If you have any questions, please free to contact us!